SEO requires a lot of browsing and peeking into other websites. 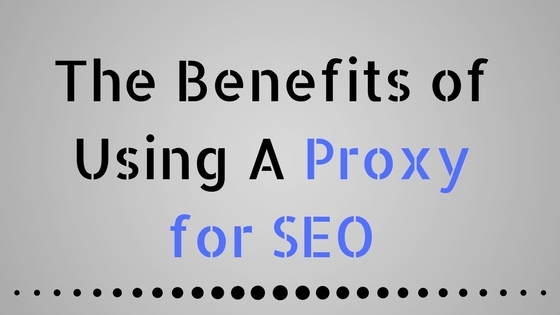 It is therefore important to use a proxy for SEO. To understand this better, it is important to consider the general use of internet. In the case of regular usage, you hide your IP address to ensure that no one tracks you. Similarly, for the SEO, you have to be sure that competitors are unable to track you. Your online experience can be much better if you buy shared proxies. These proxies provide the users with a better experience. The online presence is protected and secure. This is particularly useful for those who are concerned about their data. Moreover, those who wish to explore the banned sites for content can also use the shared proxies. These proxies enable you to surf safely. Your IP becomes untraceable. This allows you to surf without the threat of revealing your identity. Backconnect residential proxies are a dynamic way to connect with the internet. These proxies are getting famous among the internet users all over the world. These types of proxies always come with your DSL and your internet service provider companies are responsible for changing the IP addresses as per need. There are millions of IP addresses which are allocated to the internet users for the best experience. Your internet is the only way which can deliver viruses in your computers. If you are using proxies instead of direct connection you can easily get safer from any potential attack which can cost you higher. Surfing internet is a daily habit of everyone around the world but did you know that you are accessing the world filled with people who can harm you. There are many proxies out there which are popular, but few would be the ones which provide you real security. 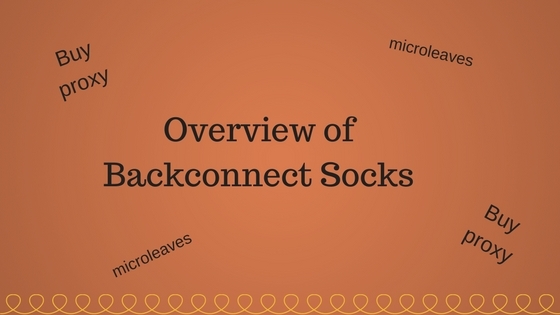 It can get difficult for you to analyze which one to choose which is why Microleaves is here to help you with reverse Backconnect rotating proxy servers. For the business owners, it can get complicated to choose one proxy server, but without any doubt, you should consider the top most prior Backconnect services. Personal information attached with your IP address is sensitive, and anyone can access it without any hassle. The risk is higher than you can think of the people who run businesses rather than for the personal use.